Minecraft cannot lack creatures like creepers, and it cannot lack the steps of a human like Steve. 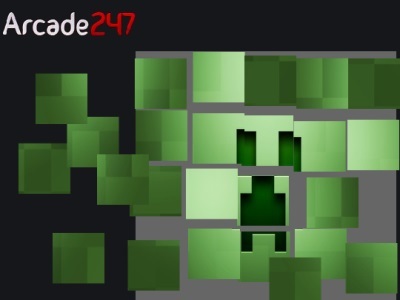 A creeper wants players to memorize its face, so it invites you to play Creeper Puzzle. Different pieces give to players and their task is to organize them in a right way to create a right face of a creeper. This creeper wants to check which players finish arranging confusing pieces to create a creeper’s face first. Show your love to creepers through this game! You drag pieces to the place you are working. If a piece does is not a right one, you can drag it back. Copyright © 2014 - Mine Blocks Game. All rights reserved.